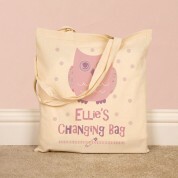 Any Mummy will love this adorable tote bag, suitable for carrying all of her baby's essentials. The bag features a polka dot background. An adorable pink and purple owl with floral wings is sitting pretty underneath the baby's name. The text is in a bold font, and a cute safety pin completes the design. 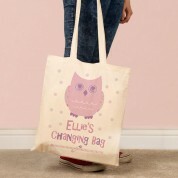 The stylish cotton tote bag has long handles for convenience and will stand the test of time. 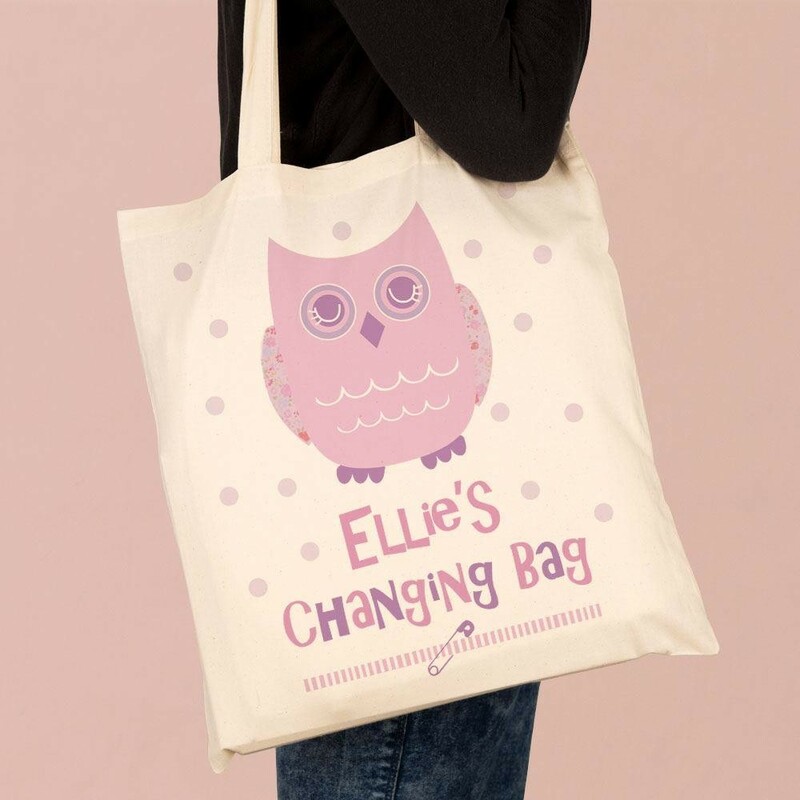 Use it as a stylish alternative for storing all your baby essentials like a change of clothes, nappies – and snacks, of course! 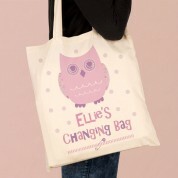 This shoulder tote bag has mid-length straps which are easy to carry over the shoulder or by hand. Handle length from shoulder to bag: approx 33cm, total handle length: 66cm.